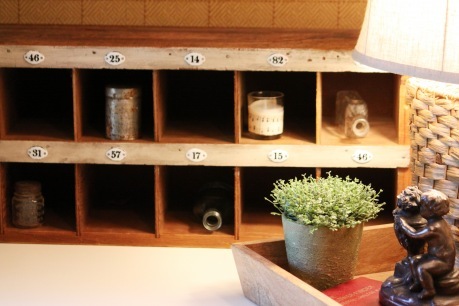 Maple and Magnolia primped this old cubby using cheap vintage reproduction numbers she found at Hobby Lobby. Girl v. The World gives a tutorial on how she made over this lovely chair. Tres Chere made this awesome 'pallet jack' out of a curbside find and leftover paint. 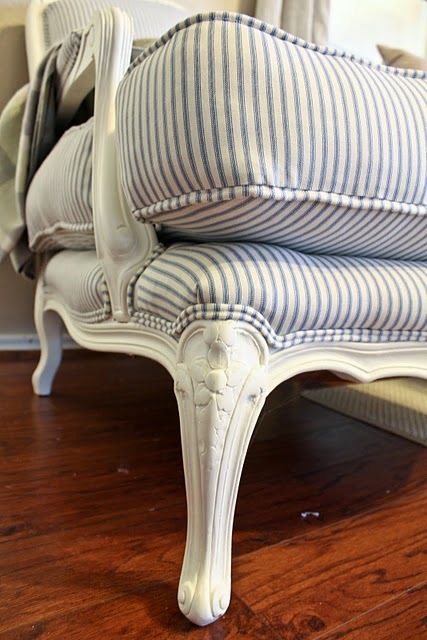 White Whimsy revealed her living room redo. Be sure to check out the full post for the full room reveal. 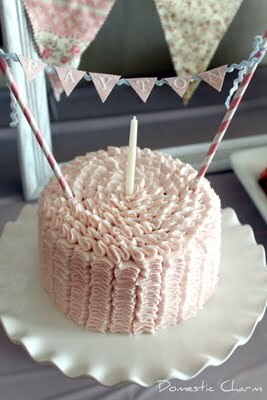 Domestic Charm showed off a gorgeous pink ruffled cake with mini bunting. 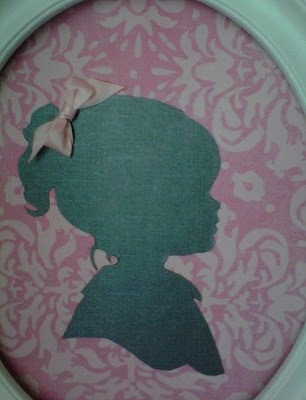 Becoming Martha designed a beautiful silhouette wall, which has touches of 3D charm. Grab my button so others can join in on the fun! keep primping and link up! Thank you for all of the eye candy..Can't wait to check them all out.. Thanks so much for hosting! This is my first time linking up with you! I am truly honored that you picked my Living Room Redo as one of your favorites last week. I really enjoy seeing everyone's beautiful homes and projects. I am linking up again this week. Thanks for hosting! so excited about joining the primp party for the fist time. thanks so much for hosting. look forward to seeing all amazing projects that are posted. Hi Michele, thanks for featuring my cubby! Love this party! Thanks for hosting! Hi, and thanks for hosting! I always love stopping by to see the latest goodies. Thanks for hosting this party! 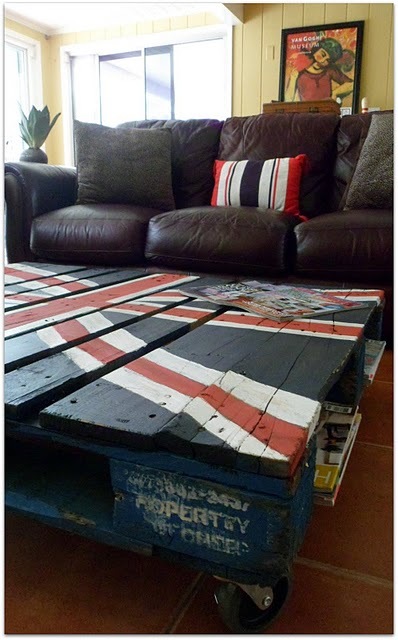 I am DYING over the Union Jack pallet table! I am fascinated with pallets!!! I see them everywhere! Do I just take one? haha. Michelle, it's time to party again yeah! I've got a "fab redo" be sure to check it out. I'm loving your features, I can hardly wait too click on each and everyone of them. Love this party! Can't wait to look around at all the eye candy! Thanks for hosting Michelle! Thanks for hosting this Link Party! It is fun to put up things that I love and also to get so many great ideas! Another wonderful blog =) I am having such a great time finding new people & places to visit. Thanks for hosting, I joined in (my very first time, SQUEAL!) I think I even did it right. Thank you so much for the invite and for hosting... What a GREAT party! Great picks from last week, such talent out there! Hi Michele! I'm new to your Blog via Rondell at Something Nice & Pretty. This looks like a fun place to be, so I'm a new follower. I also just linked a post to your party. Thanks for hosting!